Sure, you can buy a bouquet of roses for Valentine’s Day and call it a night—but cooking with roses is a creative (and very aesthetically-pleasing, might we add) way to mix things up. 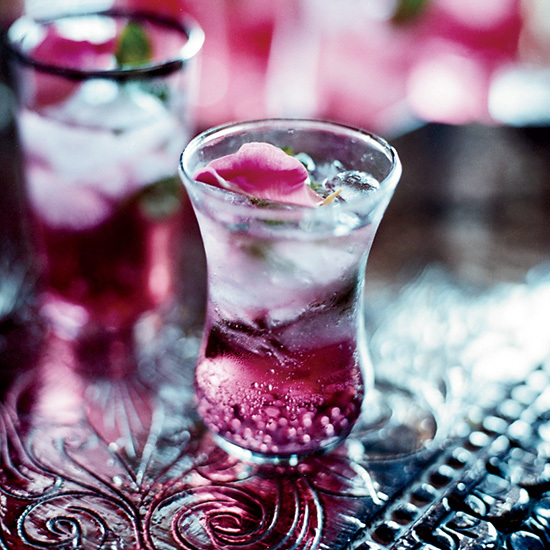 In this roundup, you’ll find rose recipes for any time of the day. Stuffed peppers with flowery honey for hors d'oeuvres? Check. Vodka rose punch and creamy rose panna cotta for dessert? You got it. Some use rosewater, while others use rose petals—all in all, we ended up with a solid dozen. It just felt right, given the theme. 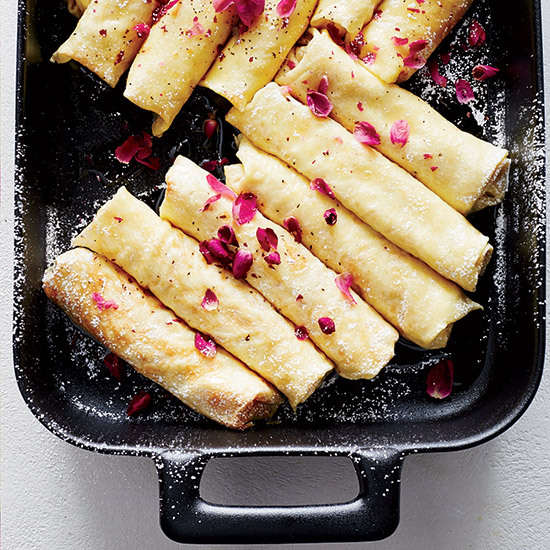 These crepes are light and delicate, and scattered rose petals on top add an extra special touch. Additions of toasted cardamom and rosewater instantly elevate your average iced tea. It only takes 10 minutes to make Padma Lakshmi’s Vodka-Rose Punch, which combines club soda, rose syrup, fresh mint leaves, and more. The end result is a gorgeous pink drink. 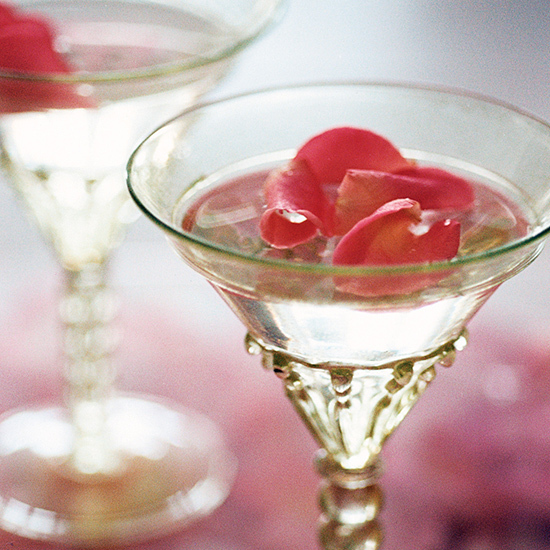 Rose water and rose petals add a floral twist to the traditional martini. If you don’t think roses and pepper would go together, think again. 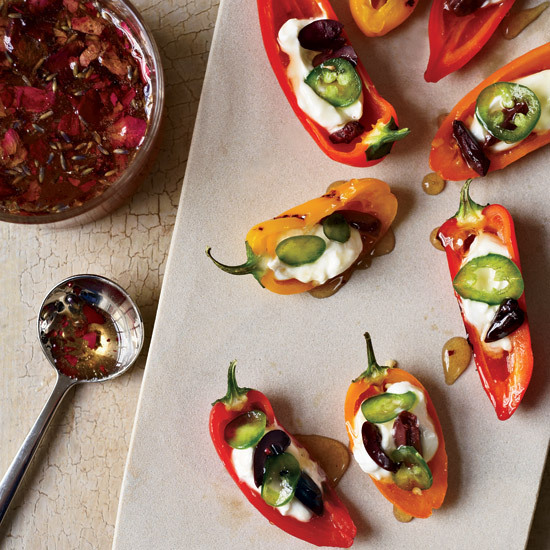 Lavender-rose honey is the perfect finishing touch to these yogurt-stuffed peppers. 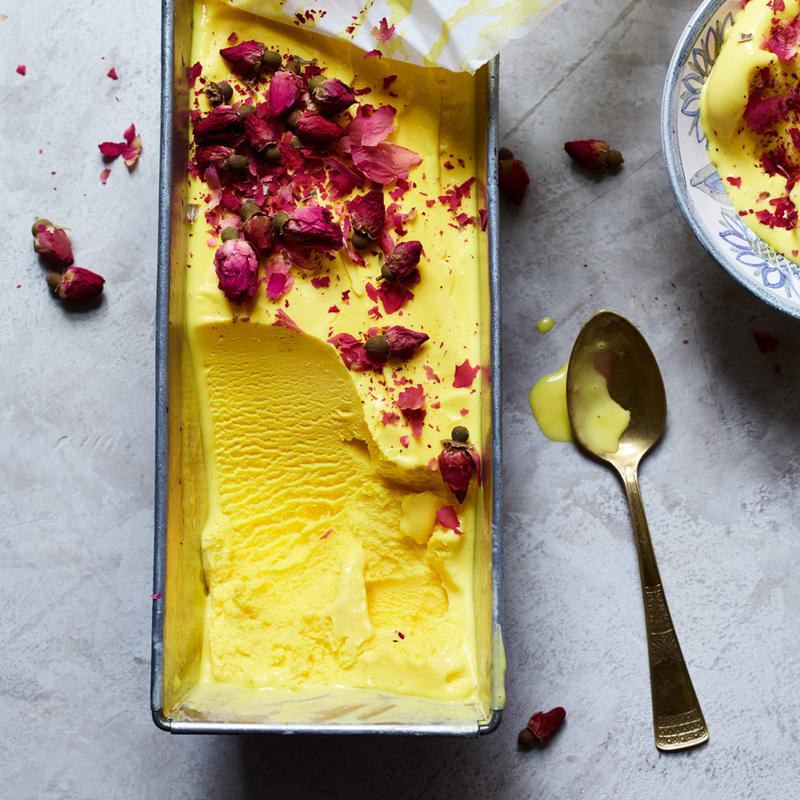 This incredibly fragrant ice cream is a show-stopper, visually and in taste. Make sure to get the dried roses for the garnish. 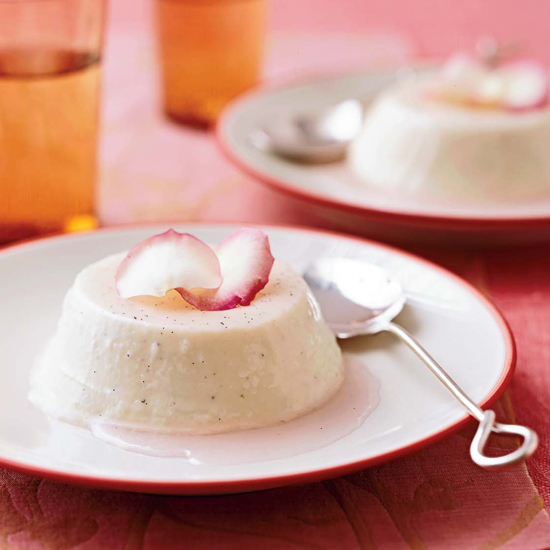 A twist on traditional panna cotta that uses Italian rose syrup (found in specialty food stores) and vanilla bean to create a light, delicate dessert. 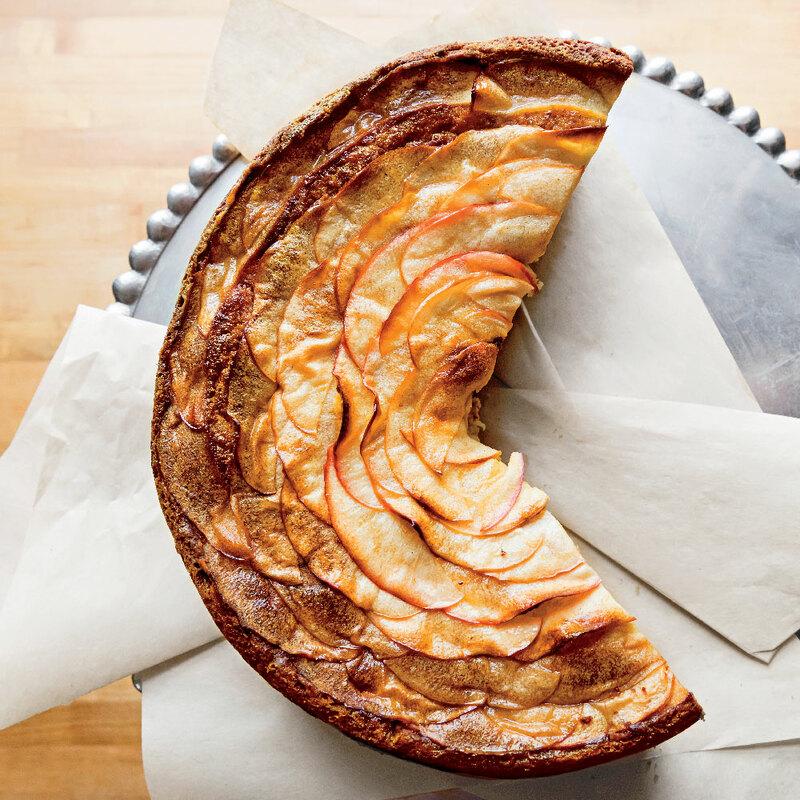 This apple-rose cake does triple duty—it has ground rose petals and rose water inside, and it’s shaped like a rose. 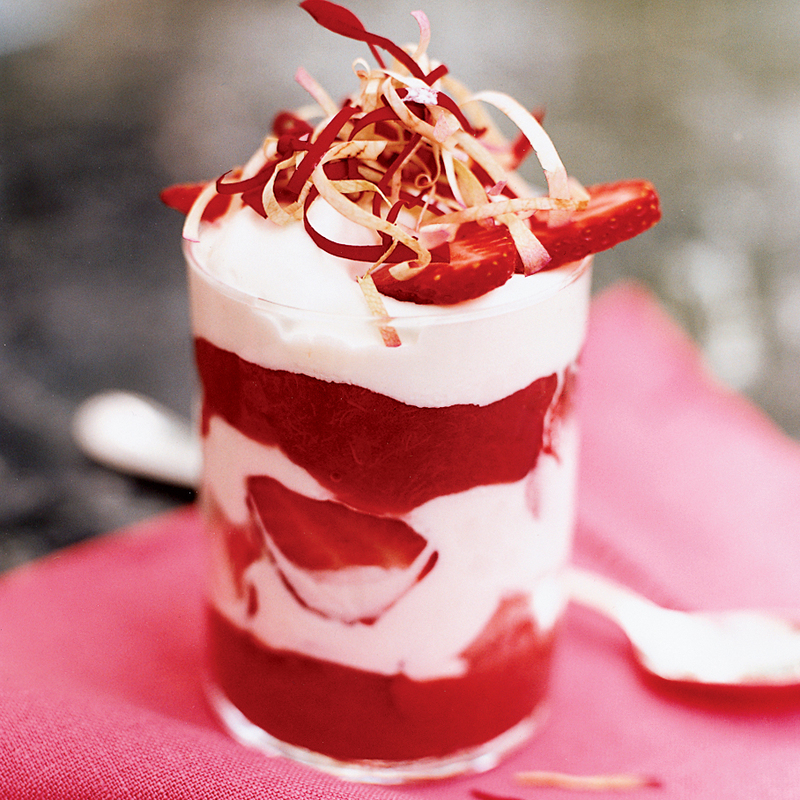 If you want to play on Valentine’s Day colors, look no further than this strawberry, rhubarb, and rose fool, which has a beautiful red and white contrast. 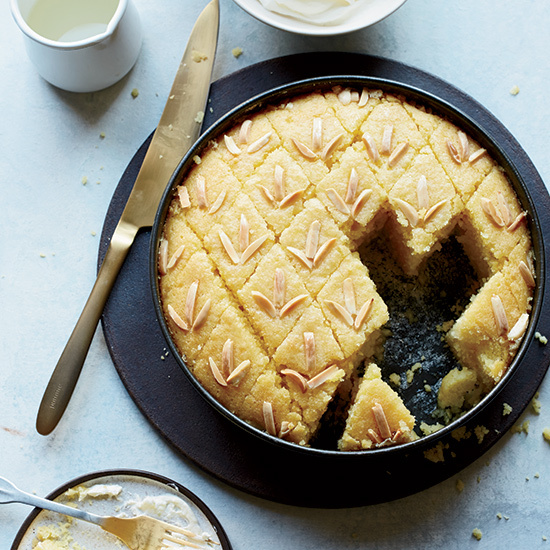 This semolina cake, infused with rose water and topped with a rose water syrup, is best served with whipped cream and a cup of tea. 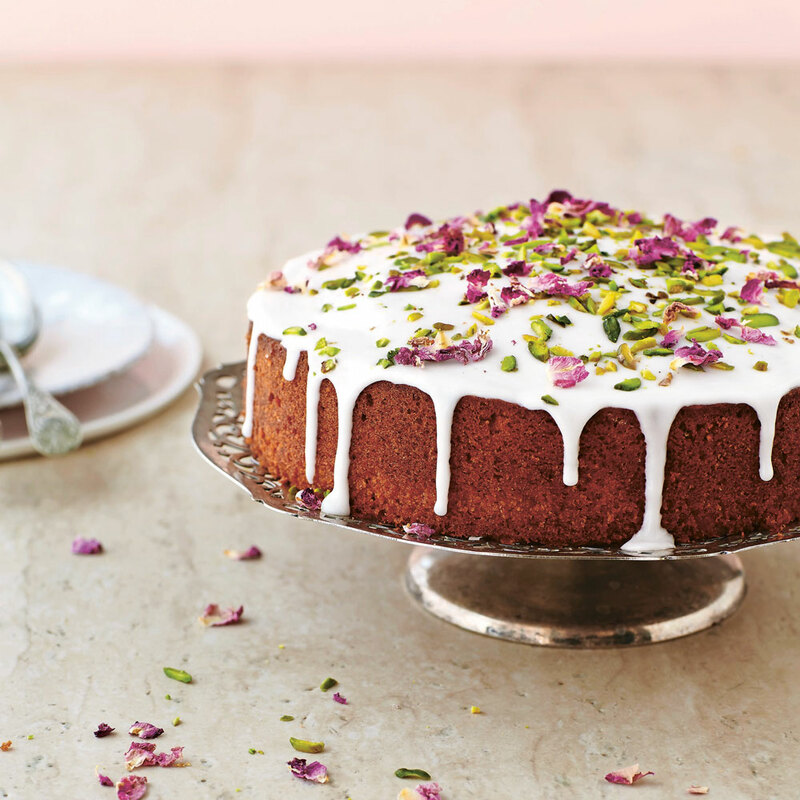 You can make this cake within an hour—but, with the pretty combination of pistachios, rose petals, and bright white icing on top, you’ll look like you’ve been working all day.